The transition towards a more sustainable and self-sufficient energy model is based on power generation using renewable energies. Solar energy is almost certainly the alternative energy source with the most potential. It is the most readily available, the most socially acceptable and the most technically and economically viable. The implementation of solar collectors in the city environment represents one of the biggest challenges for achieving a high-quality urban landscape. In this regard, surfaces used to collect solar power must be compatible with the various elements used in solar power installations. The city's urban layout determines to what extent the integration of solar collectors is possible. Factors such as street layout, type of urban materials and visual exposure of the city play a determining role. Therefore, there are multiple integration strategies for solar energy collectors which are often based on giving them additional functions in the building enclosure. 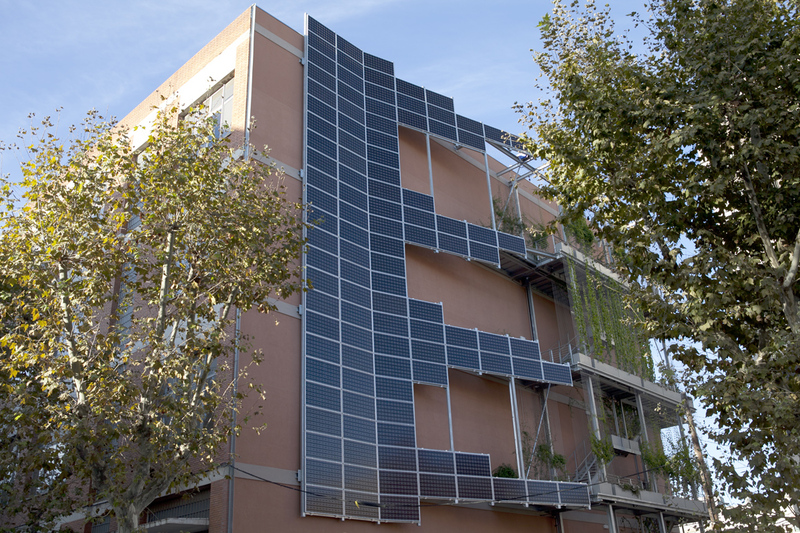 Thus the City Council felt it was necessary to establish a series of criteria, tools and instruments that could help to spread a culture of integrating solar energy into the architecture of Barcelona’s urban landscape. Download the tool and open the .zip file which contains an Excel file and various PDF files that you can use to simulate the recommended locations for integrating solar collectors in buildings. Read the user instructions in the file "READ.txt". You do not need to install any programmes to run the tool. The Solar Energy Conference organised by the Barcelona Local Energy Agency in 2013 drew a series of conclusions that are still relevant today. We recommend you read this relevant document, which outlines the common ground shared among all sectors involved in renewable energy.